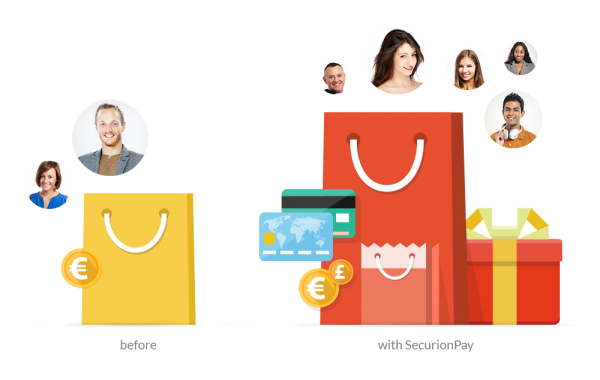 Offering a more convenient way to pay for products has a real impact on increasing sales and creating loyal customers. A credit card payment form that is a part of your current shopping process. It is fully-customisable with HTML/CSS, embedded into your website and increases conversion by keeping clients on your page. A simple overlay with payments that appears on top of your page. Well-designed, mobile-friendly and ready to use. Designed to provide the smoothest payment experience possible. With our Custom Form you will never redirect clients to 3rd party websites. Our credit card form is embedded into your page safely. No PCI compliance needed. During A/B tests the conversion on a finalized shopping process increased. It’s common sense that it would increase after removing redirections, but we were surprised by the results. Our solution is a perfect addition to your current payment process. The Checkout launches with a button and the transaction can be finished in under a minute. We wanted to make an experiment and the results were beyond our expectations. We noticed a 25% increase in sales thanks to the Cross Sales feature. Not sure if our solution suits your business? Try it in test mode for free. Developers will love it. per transaction. Simple and transparent pricing structure.